A fierce axe grabber capable of easily controlling other robots. The axe grabber sports a dual use weapon system powered by a micro gearmotor connected to a lightened Vex29 ESC. The axe can be used to strike at any exposed weak points in a robot and to help grab hold of other robots. 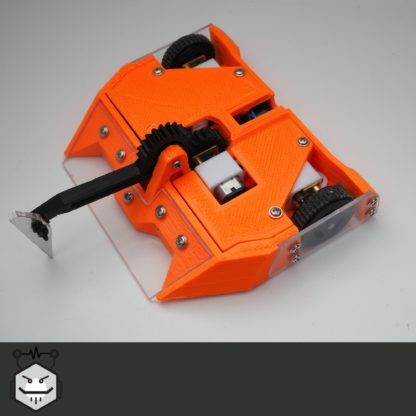 While ant weight axes typically lack the damage of the larger weight classes this mechanism offers aggressive rapid axe striking ability making it a powerful weapon in the judge’s eyes, and excellent utility to grab and control another robot. The axe also doubles a self righter to keep the robot on its wheels. 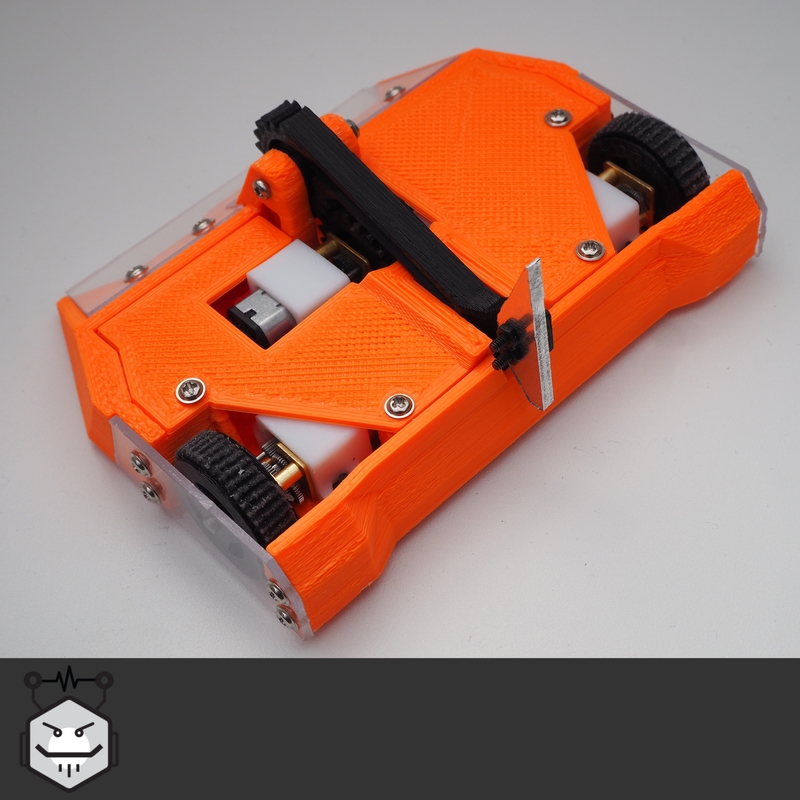 Our own high grip ‘ToughHub’ wheels help ensure your robot has the push in the arena. Supplied with a milled aluminium axe head this can be swapped out for any standard craft knife blade to increase the axes threat in the arena. All of this packed onto a strong chassis and drive help make it a capable robot in the arena. These robots are fully rules complaint for entry into all UK Antweight competitions and come ready to connect up to your own radio gear and charger. 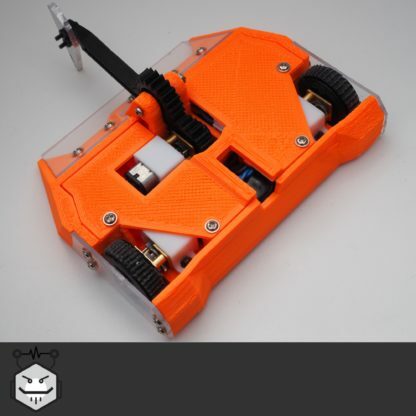 You will need your own DSM2 Transmitter and Charger to run your robot with, for suggested components and guides please see the ‘Antweight Care’ page. Nuts And Bots robots are built to order and there is a delay in shipping, please see the ‘Information Page’ for full details and shipping times.